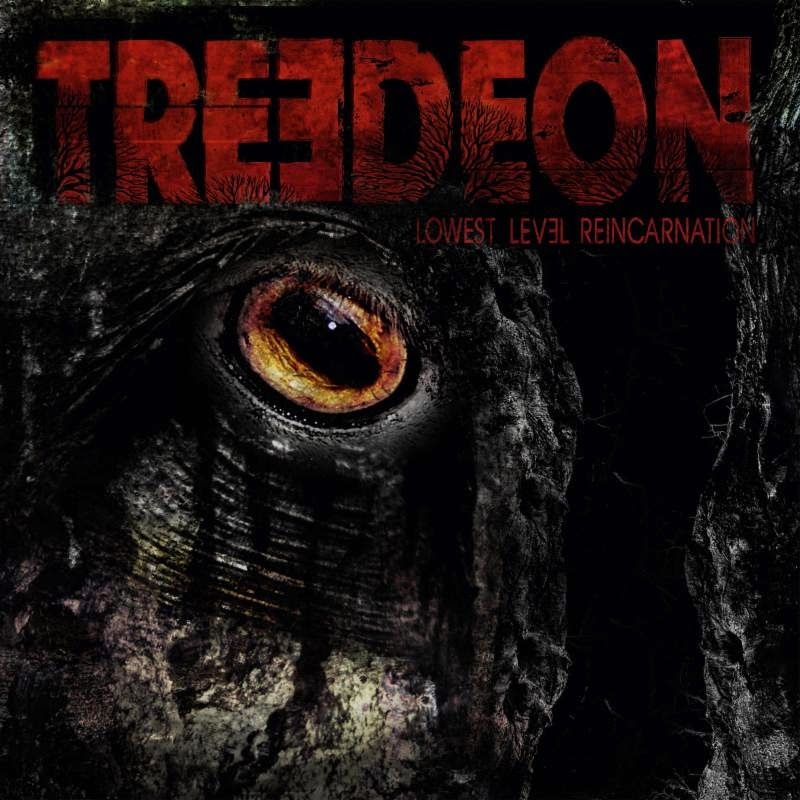 Berlin's TREEDEON will release their debut album, Lowest Level Reincarnation, through the fine folks at Exile On Mainstream in North America on April 7th. A more than fifty-minute-long, full-on, rocked-out sludge assault awaits the listener within these eight raw songs, and confrontationally carved out of depression and channeled in to a maelstrom monstrosity of guitar, bass and drums. 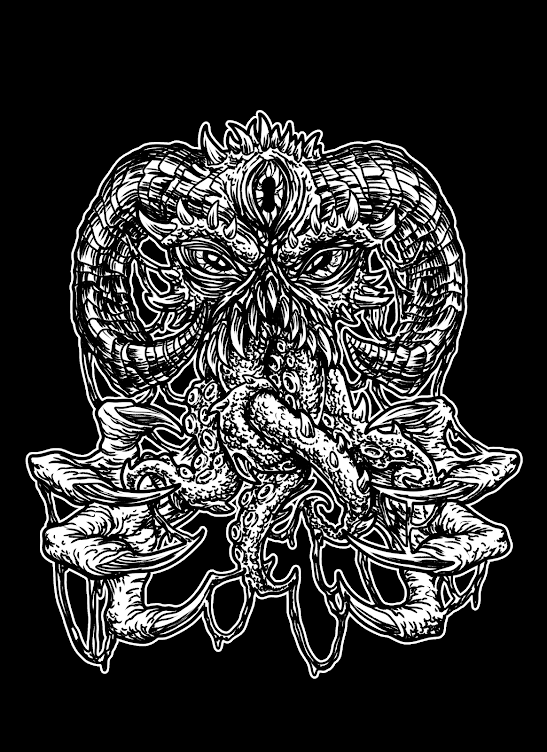 Ahead of release date, respected underground rock/doom/stoner webzine, The Sleeping Shaman, has unveiled the entire album in an exclusive auditory public intoxication. Stream all of TREEDEON's Lowest Level Reincarnation now at THIS LOCATION. Preorders for Lowest Level Reincarnation are now available, the CD in a gloss laminated 4-panel mini-gatefold, and the LP audio having been mastered for vinyl, and pressed on 180-gram black pure virgin vinyl and containing a download coupon. Preorders for both versions are available via Exile On Mainstream HERE and in the US via Earsplit Distro HERE. TREEDEON's Lowest Level Reincarnation release show takes place at Tiefgrund in Berlin this Friday, March 6th March, alongside Alphatrip. Click here for details, and stand by for additional live dates. After the almost simultaneous demise of Germany's noise-stalwarts Ulme and seminal crossover icons Jingo de Lunch, Ulme guitarist and singer Arne and Jingo de Lunch singer Yvonne formed an acoustic band named TREEDEON. Their first show was a set at 2012's South Of Mainstream Festival, stepping up to replace the disbanded Ulme, and out of the death of two bands came opportunity, as shortly after, a second gig was booked at Berlin's Schokoladen, where Kaeng-shell punisher Boomer pledged himself as the missing link by offering to play drums. Songs were laid out, written, and rehearsed in a dark cellar, leading to their first demo being released in November 2013. The demo made very clear that the acoustic approach had been revised, overwhelmed by a new (but by no means surprising) monstrous Valkyrie of sheer heaviness, dueling vocals, and screams of emotional terror. A much louder rendition of TREEDEON played a first show in their local hangout, Franken Bar, while their second show brought them to the infamous Roadburn Festival, as part of Exile On Mainstream's fifteen year anniversary showcase. And what an impression they left! The digitally released demo began rolling around among dedicated punters and created quite a buzz for the band, culminating in an invitation to play the Stoned From The Underground Festival in July 2014. From this gig on, the band rooted themselves very much in the conscience of lovers of noise, sludge, and all kinds of heavy pumping riffage.